***Now with Fermented willow bark!!!! Added benefits for scarring + wrinkles + hydration, check out the FERMENTED BEAUTY ESSENCE for more info! The special blend of essential oils helps address several of the main causes of breakouts as well as prevent new breakouts. I love this for areas like the back, chest, bum, and legs. It is great after shaving or for heat rash / shaving irritation. I also use this along with WITCH HAZEL FACE MIST as a Toner, misting two sprays of each on a cotton round and then swiping over clean skin. The light spray requires minimal rubbing in and has very little need for dry down. Organic Hemp Seed Oil feeds your skin with omega fatty acids 3-6-9, repairing damaged protective skin barriers over time. Alpha Hydroxy Acids help speed cell turnover + brighten + smooth. The combination of gentle fruit acids in this are pretty magical. They help address several skin concerns, including fine lines and breakouts. Bilberry, Sugar Cane, Orange, and Lemon botanical extracts deliver five natural AHAs to the skin: Lactic Acid (from Bilberry), Glycolic Acid (from Sugar Cane), Citric Acid (from Orange and Lemon), and Malic and Tartaric Acids (from Sugar Maple). Beta Hydroxy Acids from Organic Willow Bark help unclog pores and prevent future breakouts. Tea Tree and Sweet Birch help reduce redness and angry skin. Both are antibacterial and reduce inflammation. Citrus Oils like Bergamot aid in balancing oil production and help unclog pores as well as reduce scarring. French Lavender and White Thyme calm irritated skin. Organic Aloe Vera Juice contains polysaccharides (plant sugars) that deeply hydrate and soothe skin. 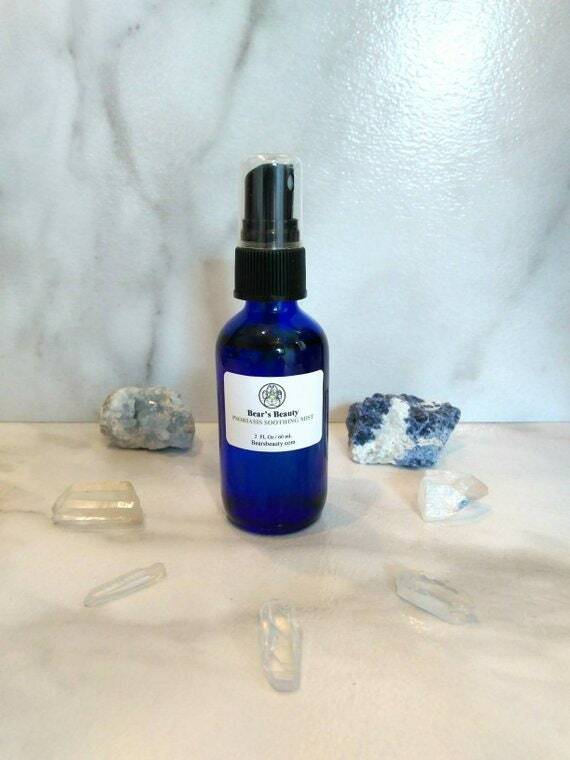 12+ essential oils + Sea Buckthorn Oil + Aloe Vera + Probiotics + Organic Hemp Seed Oil make this spray the epic for breakouts. Immediately, gentle soothing and cooling. Skin feels softer and appears brighter. Over time, this helps reduce the appearance of breakouts and scarring. For best results, exfoliate regularly and cleanse your body after shampoo and conditioner. Shake, Spray onto cleansed skin, allow to dry.